If President Trump’s actions are any indication, the federal government’s workforce will face major changes that may be detrimental to government workers. First, the hiring freeze is predicated on President Trump’s belief the government workforce has too many employees. There is some dispute over whether the Federal workforce is too large, but the freeze is only the first step. Newt Gingrich, an informal advisor to President Trump, has advocated reforming the federal workforce as the new administration’s primary goal. Specifically, he suggests making it easier to fire federal workers who do not cooperate with the new cabinet secretaries and their policies. Adding to this, the Congress has resurrected an old rule that allows Congress to reduce the salary of a specific government worker. These actions are the wrong way to make the Federal government more effective and efficient. President Trump, being a successful businessman, ran on the platform that he could bring the best business thinking to running the government. If so, President Trump may want to consider some of the best business thinking on human capital trends. For the last several years, Bersin by Deloitte has published a study on global human capital trends. 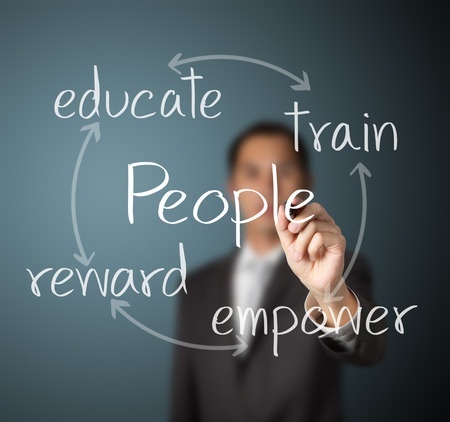 These are the best human capital practices that are used by many successful businesses. I have picked three that are most applicable to government. The first trend is the move away from hierarchical structures to more fluid, team-based structures that can adapt and innovate rapidly. New team-based structures are necessary because of the fast-changing and complex environments that surround private sector organizations. Organizations are creating “networks of teams” which emphasize high empowerment, strong communication and rapid information flow. Teams make their own decisions and set their own goals in pursuit of the organization’s strategic goals. Pushing decision authority down to the team level allows the teams to “deliver results faster, engage people better and stay closer to their mission (from the Deloitte report). Arguably, governments face even more complex and fast-changing environments which require innovative and quick actions. Nurturing networks of teams within agencies can be an effective way to reform how agencies deliver on their missions. Building networks of teams is a relatively easy to implement reform that can have major payoffs. The federal government concentrates on leadership development with programs devoted to making better supervisors, mid-level managers and senior executive service leaders. However, there are only a few agencies that work on developing the leadership abilities of all the agency’s workforce. The U.S. Patent and Trademark Office (USPTO) has an extensive leadership training program for all of the agency employees no matter what their job role is. The USPTO’s comprehensive leadership training program reflects the private industry’s human capital trend to increase leadership training as organizations switch to networks of teams. Private organizations have also invested heavily in succession planning which requires identifying and training potential leaders. So, what leadership skills are organizations concentrating on? First, the ability to collaborate across organizational silos and between organizations. The second ability is to develop and implement innovative solutions while the third ability is becoming motivational team leaders. For federal agencies, the traditional command-and-control leadership style is giving way to servant leadership as more emphasis is placed on increasing government employee engagement. As some agencies have found, fostering leadership development is an effective way of increasing employee engagement. Training and development are undergoing a fundamental change because of the Internet and the need for employees to keep acquiring new skills. Traditional training methods, in which the organization’s training department decided what employees needed to learn and then created the training and delivered the training at the convenience of the training department, no longer works. Thanks to online training providers, online academic programs and free tutorials on YouTube, employees can take any training when and where they want. As the Deloitte report observes, employees realize continual learning is the key to moving up in his or her career and therefore are demanding more training from their organizations. Leading organizations are turning their training departments into “learning experience architects” as trainers become curators who pull together existing training assets (both internal and external to the organization) into online personalized learning systems. Learners can then create individualized learning paths that comprise formal classroom learning, social learning interactions with peers and self-paced online training. 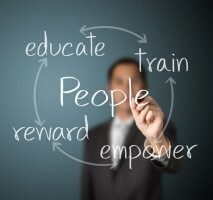 The training department provides a better learner experience for employees while helping the organization to achieve its strategic goals through increased employee development. Instead of focusing on the size of the federal government, the Trump Administration should focus on the quality of service from the Federal government. Government agencies do a good job of delivering value and services to the American public. However, there is room for improvement. Not all successful business practices apply to government but, some practices can revitalize and reform government operations. People are the heart of organizational success and improving human capital processes improves the organization overall.